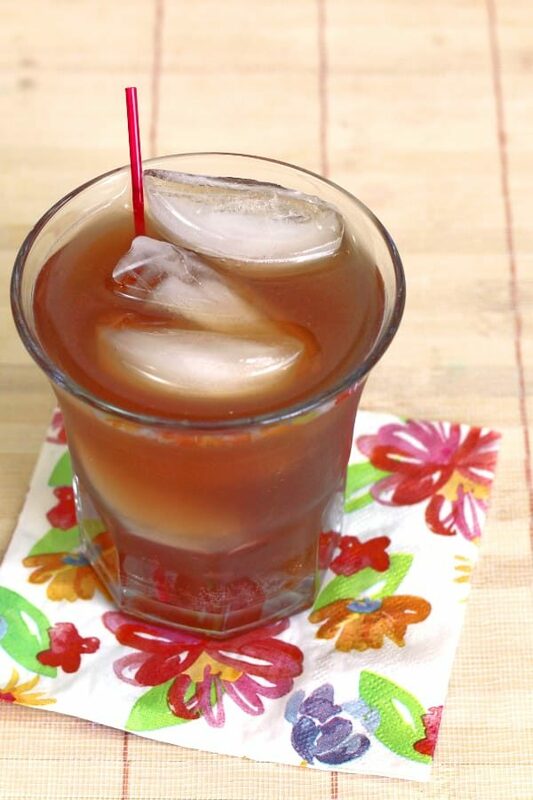 The original Tennessee Tea drink recipe blends Jack Daniels with cola, triple sec and sour mix, but I actually substitute fresh ingredients for the bottled sour mix. This is one recipe that calls out to be served in some type of mason jar glass. 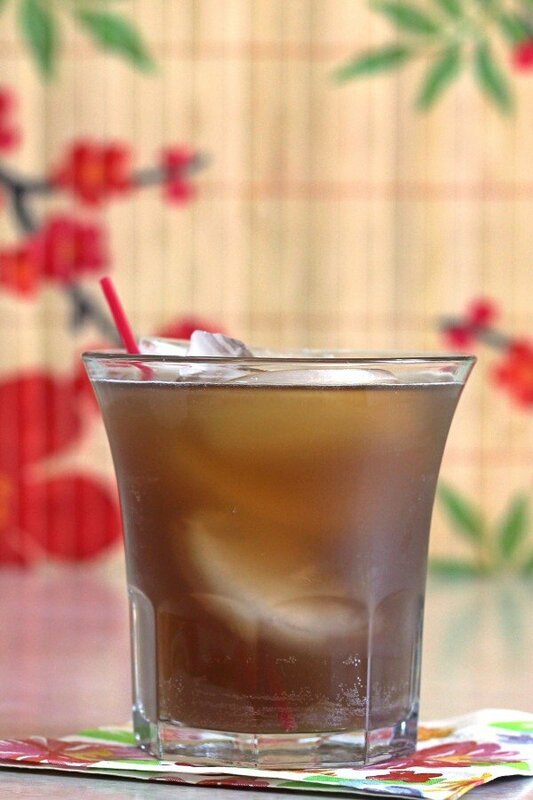 The flavor of the Jack Daniels comes through clearly, but the citrus notes and the cola add something else entirely. The overall flavor is a little bit sweet, but with lots of intriguing notes that are hard to identify, coming from the cola and whiskey. And then there are those citrus notes which make this such a smooth drink. The Tennessee Tea is a little like a Jack and Coke, but with the ratios totally inverted. That is to say, you get all the Jack and with just a little bit of the Coke. And then you get the orange and lemon from the triple sec and the lemon juice. Those citrus notes along with the cola are so refreshing. It all adds a nice zing to the whole flavor profile of the drink. I mentioned I don’t make this one with sour mix. That’s because bottled sour mix is not the most beloved of cocktail ingredients for most cocktail lovers. It tends to be full of high fructose corn syrup and other ingredients that just don’t lend themselves to a fresh, delicious citrus flavor. It’s just not very tasty. But there’s a simple solution. Whenever a recipe calls for sour mix, you just need to add lemon juice (or lime juice, or a mix of the two) and simple syrup in a one-to-one ratio. 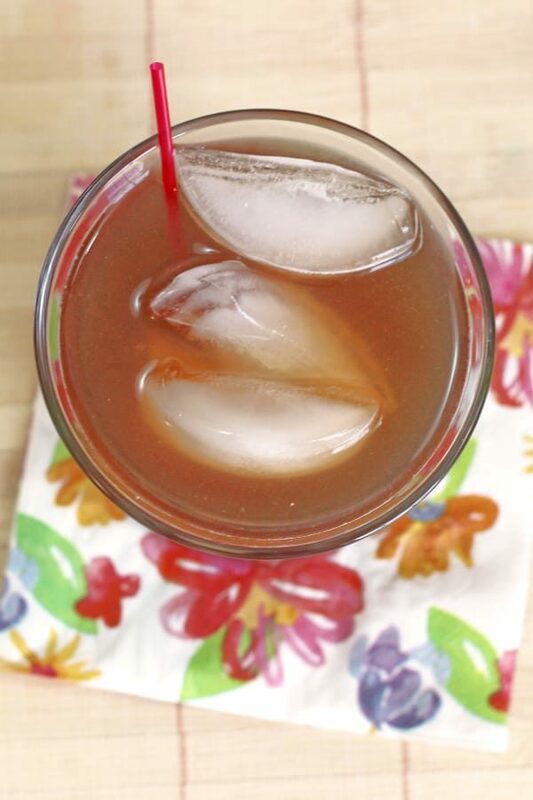 The original recipe for Tennessee Tea called for one ounce of sour mix. Instead, my recipe just blends 1/2 ounce of fresh squeezed lemon juice with 1/2 ounce of simple syrup. You can also use lime, but in this particular recipe I prefer lemon. It’s so easy. As for the simple syrup, you can use bottled (some of the bottle blondes are pretty decent) or you can make your own simple syrup. Then you just juice a lemon or lime. If you don’t own a good citrus squeezer, I recommend the OXO citrus squeezer. It’s so easy to use – even if you don’t have the strongest wrists or grip – and it cleans up just as easily. 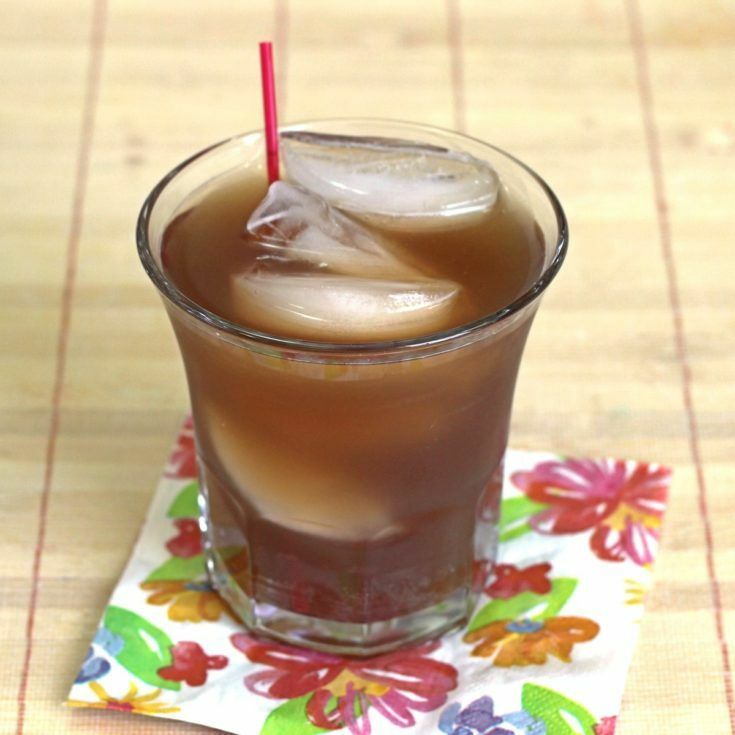 Think of this drink as a down-home alternative to the classic Whiskey Sour. It blends bourbon with simple syrup, lemon juice and egg white (or not – there’s more than one version). To that, the Tennessee Tea adds cola and triple sec, because what drink doesn’t benefit from having orange and cola added to it? 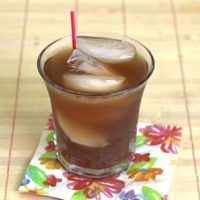 The original Tennessee Tea drink recipe blends Jack Daniels with cola, triple sec and sour mix, but I actually substitute fresh ingredients for the bottled sour mix. It's refreshing and easy going. I like to think of it as a down home alternative to the Whiskey Sour. Pour in all the ingredients and shake until chilled. Strain the mixture into it. I have kicked this up a bit, Add 1/4 cup for fresh or frozen raspberries. Add’s some color and a little flavor twist to the whole thing. We got the original recipe while visiting the Jack Daniel’s distillery in Tennessee. Hope you like this twist, some people can’t figure out the extra flavor of the raspberries.